The New Year is right around the corner and I, like many, find myself preparing for a New Years Eve bash. But let's be real, now that I’m older, and have a kid, my NYE has toned down quite a bit. That's not to say I don’t like to get a little fancy to ring in the new year. 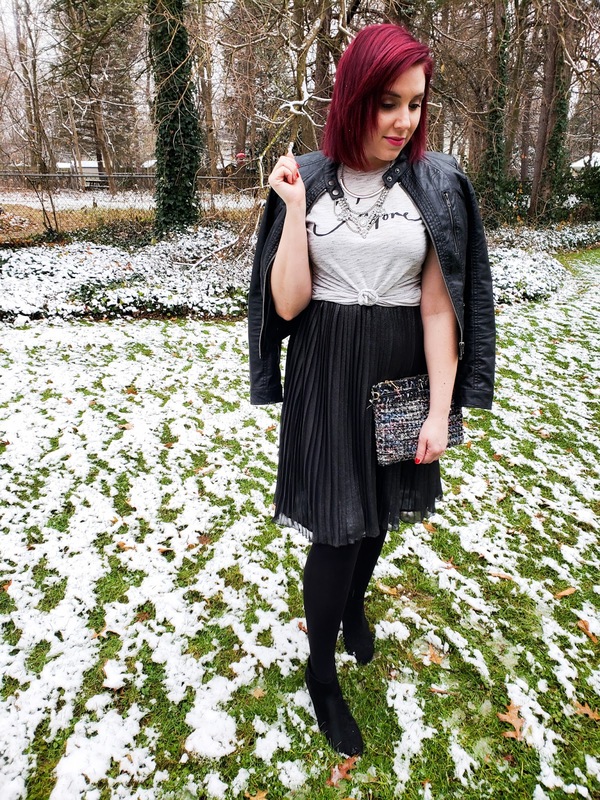 On today's blog I wanted to share my functional yet fancy NYE look to hopefully inspire you. 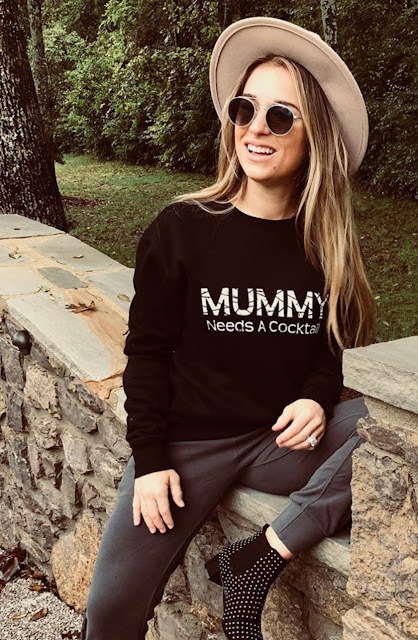 If you are a new mama like me and you are looking for something more functional there is always room to dress up and feel your best! I don't know about you, but the last gift on my shopping list every year is my work friends! I know I see them everyday for 40 hrs a week, but I always find myself running around last minute shopping for them. 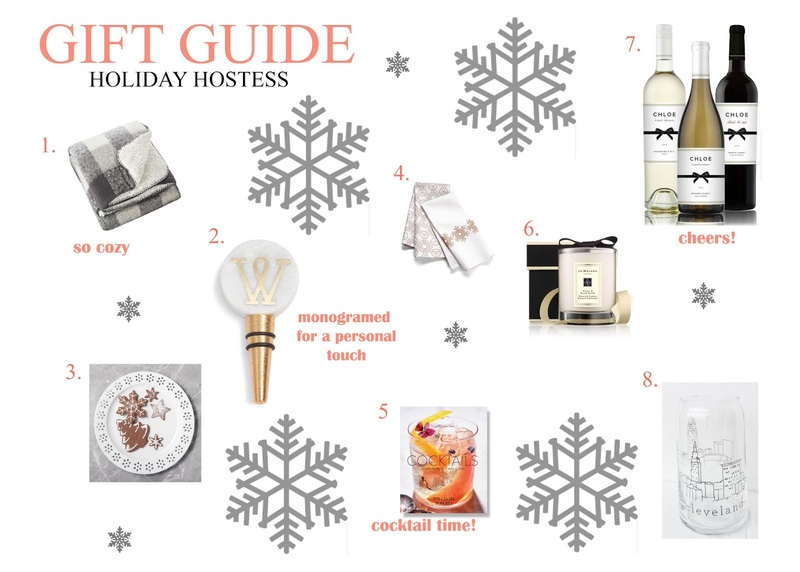 On the blog today I'm sharing some great last minute gift ideas for your business buddies. Whether you are in a big office setting or a small one there is always room to spread some holiday cheer!! 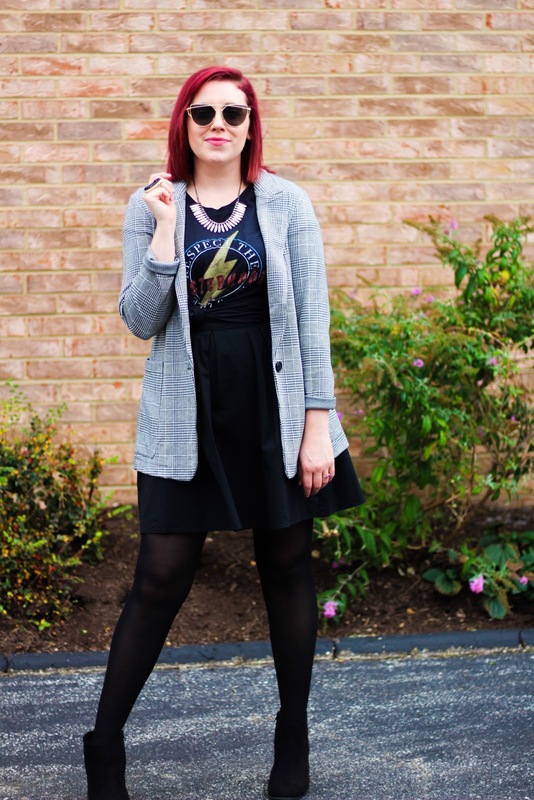 An Ametures Guide to Shopping Second Hand and Vintage Fashions! Sorry for the late blog post on this topic, in the retail world we are in full holiday mode already. It’s been challenging to find the time between work and mom life to blog. You all asked for it and I wanted to deliver, my guide to shopping second hand and vintage fashions. If you follow me on Instagram you saw how over the course of a week in October I found myself vintage shopping and styling second hand fashions. I am by no means an expert at shopping this way and in all honesty I find it somewhat overwhelming at times. I even feel my inner germaphobe come out when shopping this way too. I have to admit in the fashion world there is a lot of waste happening and it is crazy to see how top brands like Burberry and Louis Vuitton waste each year in fabric and hardware alone. In an attempt to lower my carbon footprint I’ve decided to challenge myself to start styling and shopping reusable fashions such as thrift and vintage goods. Now don’t get me wrong, I’m not doing a complete 180. I do love new and shiny things but sometimes it doesn't hurt to look second hand when searching for that must have item of the season. Tip #1: Recognize second hand/ vintage shopping is not my number one way to shop. Meaning I don’t JUST go to thrift and vintage shops when adding to my wardrobe. I like to pull pieces from many brands high and low to add to my wardrobe collection. Now I’m adding thrift stores and vintage shops to my list. By keeping this mindset I stay very selective on what I'm looking for, the goal is quality not quantity. Tip #2: When I am getting ready to go consignment shopping I make a list. This sounds so simple but, it’s one thing I realized I never do when shopping for my wardrobe. I got this advice from a fellow blogger I follow @uptownwithellybrown. She discussed when shopping sales many people shop because an item is on SALE with no knowledge of if it's actually a good deal or just the rush of the sale. That’s why for big sales like Nordstrom or Shopbop she has her go to list of pieces she really wants to add to her wardrobe. I’ve adapted this same practice and I’ve started an ongoing list myself. The list includes classic items I’m always on the look out for no matter where I shop, like a brown leather moto jacket, great vintage cut tees, and a classic pair of brown or black riding boots. 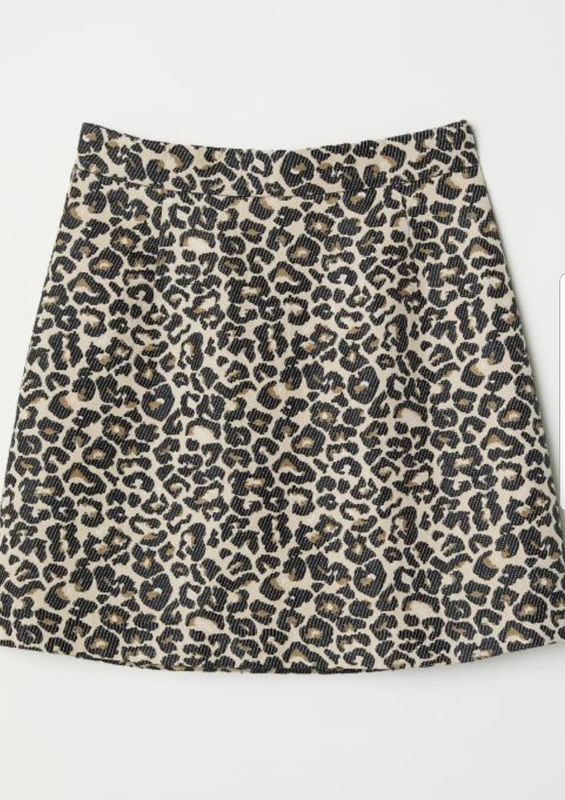 It also includes trendier items like suede or leather jackets or skirts. Then finally there is the high end list saved for vintage shopping which includes my iconic must have pieces from top designers like a handbag from Chanel or dress from Carolina Herrera. Keeping a list keeps you focused and less overwhelmed. It also brings attention to a pattern in your shopping must haves. For instance I’ve realized I’m always on the lookout for really great jackets, dresses, and handbags/accessories. Tip #3 It is important to know your product. This is why second hand/ vintage shopping is daunting to me because I feel I lack the knowledge of quality products. I do however surprise myself, because I know more than I think. Who cares if I tuned out after the lesson on diamonds in Product Knowledge class in college, being immersed in the industry and studying in it, I know top brands and what they are worth. I also know fabrics and I can spot good quality vs bad. If you find you are not or were not a fashion student find a buddy who was in order to help you gain knowledge. My aunt studied fashion as well. She is so knowledgeable when it comes to shopping second hand/ vintage, she is my go to girl. If you can’t find a buddy message me and I’d love to help! You can also check out my favorite second hand shopper Emily Roggenburk. 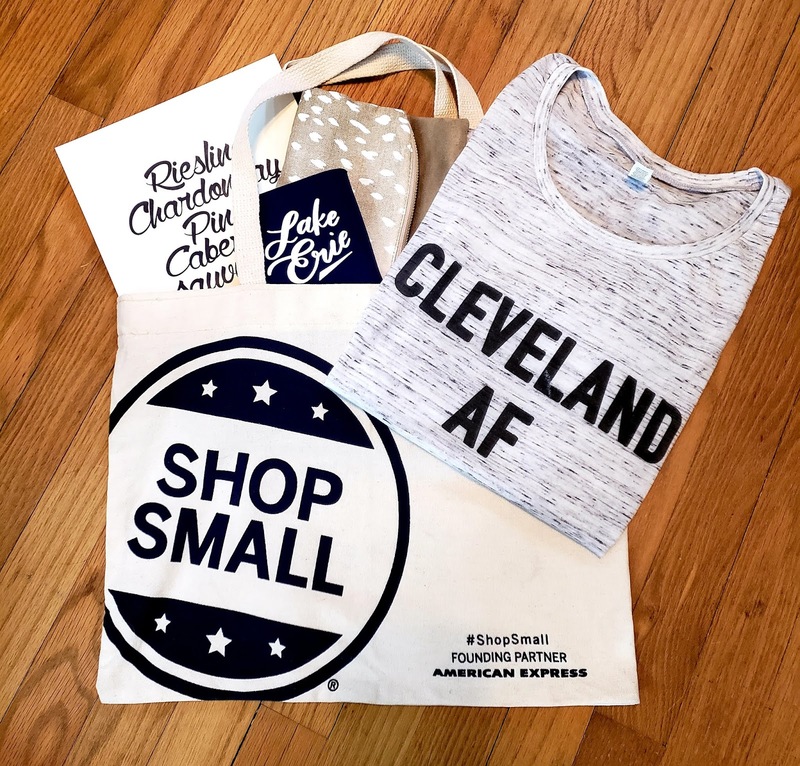 She designs local Cleveland Apparel with a “One of a Kind” line where she re-purposes thrifted goods. Her insta-stories are total thrift shopping inspiration. Tip #4: Not everything should be thrift/vintage shopped. These are items I stay away from when shopping second hand. The first are bottoms. Shopping for new jeans or pants can at times be depressing and always a struggle. Literally post baby every bottom fits differently. I have pants from a size 8 - 12 in my wardrobe. I know my fit and where to shop it and that's where I draw the line. The second item is shoes. I have a thing with feet, this is where my inner germaphobe comes out. I cannot and will not wear previously owned shoes it grosses me out too much. Lastly, sweaters, I’ve noticed there is a lot of wear and tear and pilling that happens to previously worn sweaters. It’s difficult to find a quality second hand sweater so I tend to skip those items. Tip #5: Another thing I do is always size up! If you love something and it's one size too big that is an easy fix. You can get many items tailored in to fit your body. I do this with a lot of dresses, even the first hand items I buy. Lastly, all bets are off during a clothes swap. For those of you who have never participated in a clothes swap it is a crazy, exciting experience. I recently attended one in Cleveland hosted by Cleveland Vibes to help raise money for A21 a non profit that fights against child slavery and human trafficking. It was a big turn out with a lot of women and a lot of clothes. It was a frenzy of “shopping” second hand. It reminded me of the sample sales I used to attend in NYC. When ransacking tables and racks of merchandise while others rummage around you, you tend to forget my tips of advice. if you see something you may like you grab and go, you can sort through and throw back later. Don’t waste time perusing the items because you may miss out on some good finds. When participating in a big clothes swap grab what you think you may like and use my five tips when editing your finds after. It was a really fun experience and I came away with four great pieces, two of which I’ve styled in this blog post! I hope my guide to second hand and vintage shopping helps you during your adventures into shopping thrift/vintage. I might not be a pro although the more I do it, the more I learn what to look for and what to stay away from. I think with most things it takes practice and if you ever have any questions feel free to comment below and I’d love to help you out when entering the world of second hand shopping! 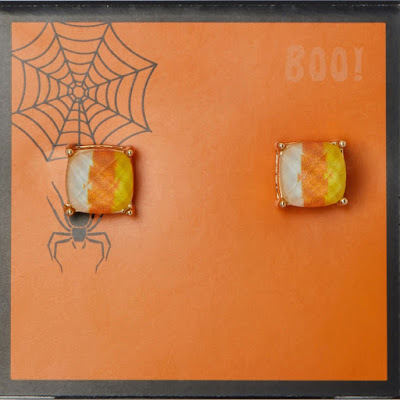 I can’t believe October is almost over and Halloween is right around the corner! Full disclosure, Halloween is not one of my favorite holidays. I know horrible, but I’m a March baby so I’m all about St. Patrick's Day. 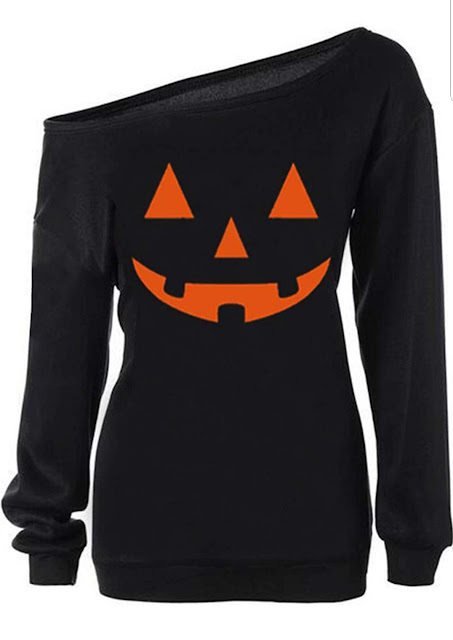 My husband however happens to be an October baby so, you guessed it, his favorite holiday is...Halloween! Now with the addition of JR I have a feeling I’m going to have to get into the holiday spirit a little more. I'm not one to dress up but I do love a good holiday graphic or accessory. 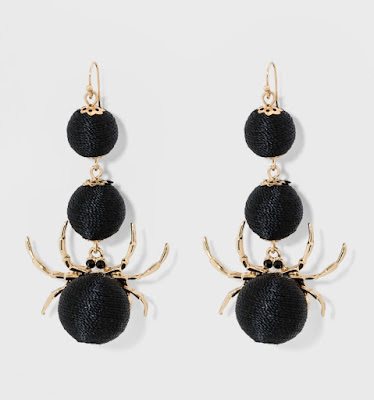 So for all you last minute Halloween spirit shoppers here are 10 pieces I'm loving that are helping me get in the Halloween spirit. 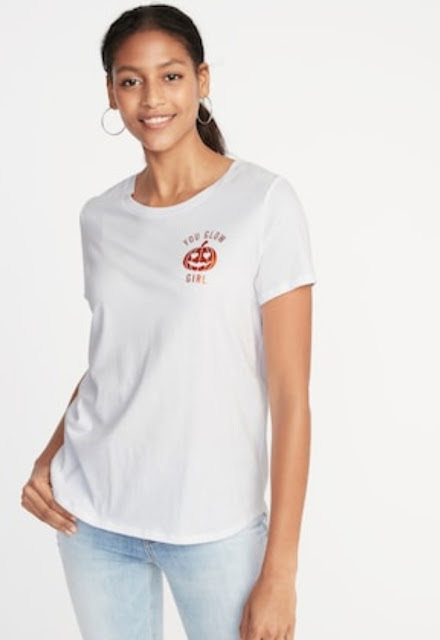 Check out my spook-tacular finds I've linked below! 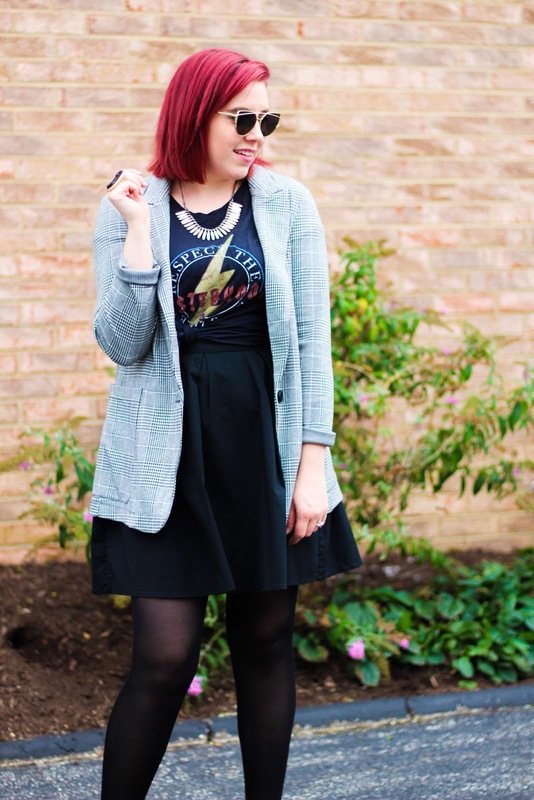 The Jacket I'm Loving for Fall! 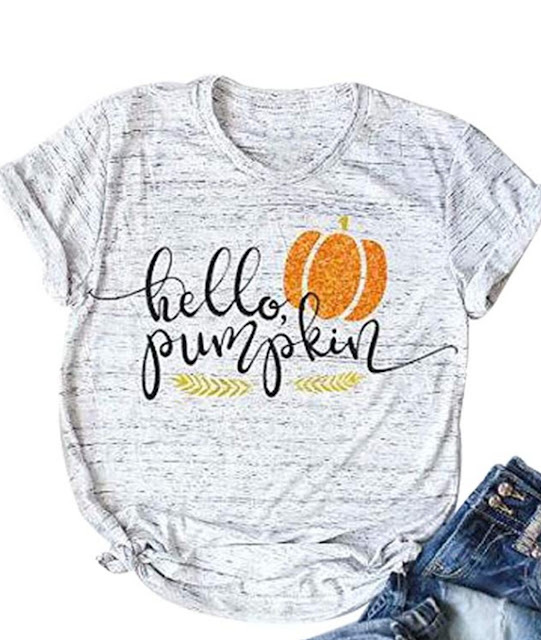 Fall is here and it's time to stock up on some key fall essentials. The one item I’ve been craving, for my fall wardrobe, is a plaid blazer. I’ve been trying to up my jacket game for awhile. 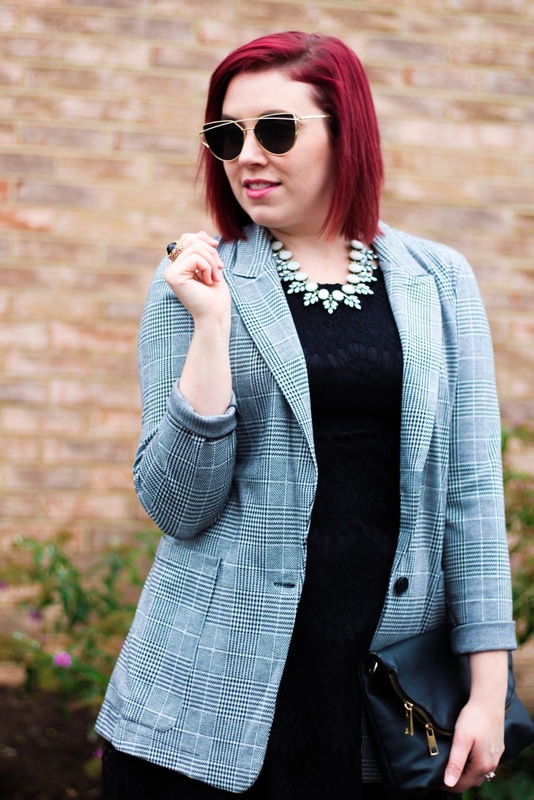 Blazers and jackets are one of those items in my wardrobe I always forget about. I’m always searching for a cute top or a great pair of jeans, although I’ve found with jackets and blazers I always overlook them. That is until I come across a great piece I have to have like my new favorite plaid blazer from H&M. I’ve been in search of an inexpensive one ever since I saw one during the Nordstrom Sale that was a little out of my price range. The great price point isn’t the only thing I love about this jacket. I really love the way the jacket fits. It's a longer length and not too fitted, it gives a more relaxed vibe while also making me look put together. I also love how its made of a jersey material so it's easy to move in and not so constricting. When you're chasing after an 8 month old being able to move in a garment is important. Lastly, what I love about my purchase is its versatility in my wardrobe. Like many of my great pieces, this jacket can be dressed up for a night out or dressed down for work. In today’s blog I’ll be sharing the three ways I’ve styled it with my current wardrobe in hopes that it inspires your jacket game as well and how you style it! For those of you who follow me you know for my day job I’m a visual merchandiser. A lot of what my job entails is early mornings, heavy lifting, and a lot of running around. 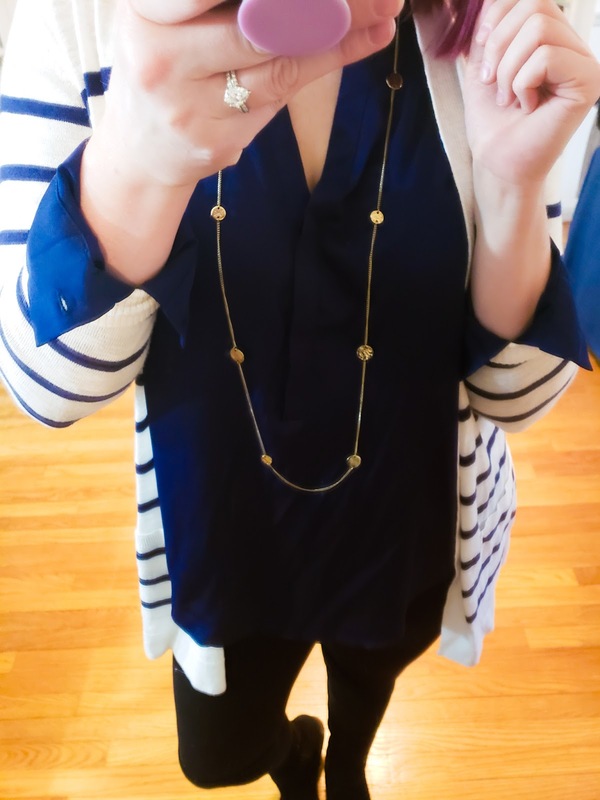 When getting dressed in the morning I need it to be easy, cute, and functional. 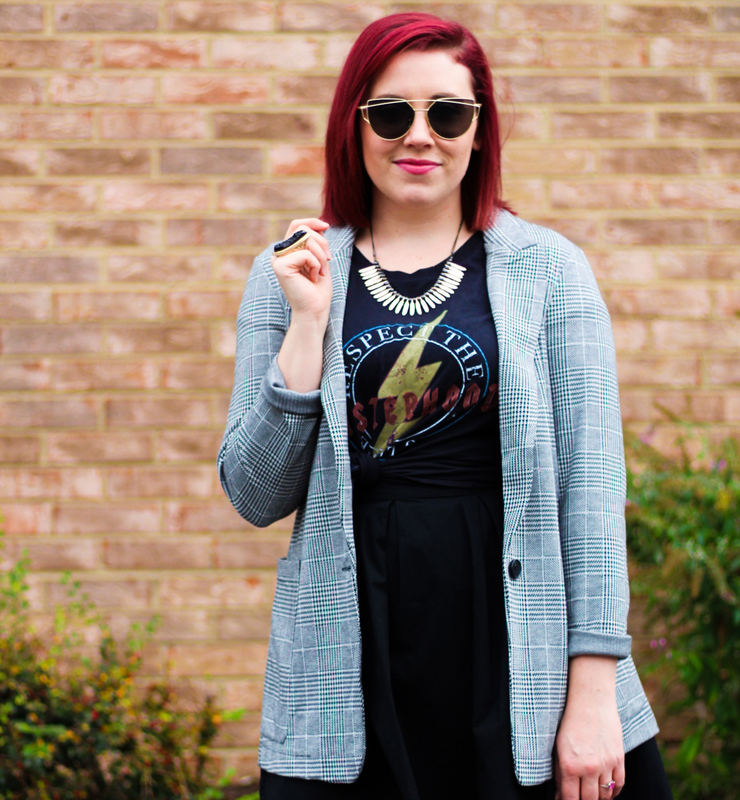 I’m always looking for fun ways to dress up a basic tee and what better way than my new plaid jacket! I paired it with a statement necklace and some colorful flats to create a perfect yet functional look for work! 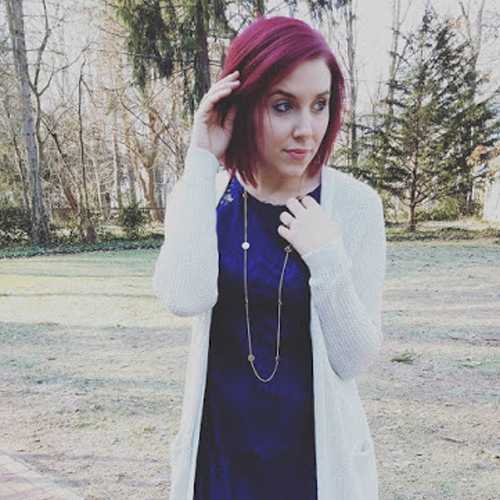 This look is perfect for a girls night out or a fun date night. 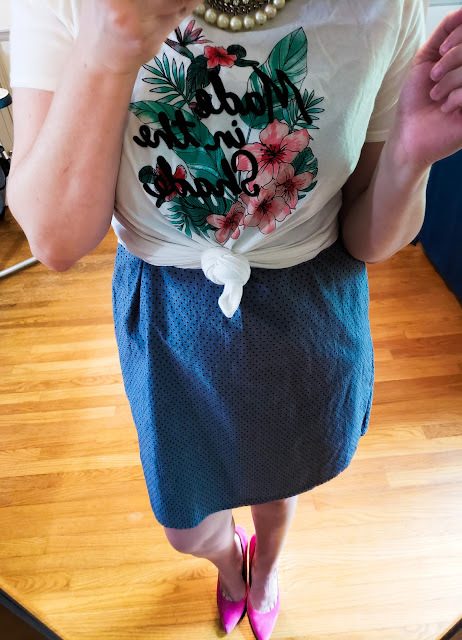 I took another basic tee and paired it with a flirty skirt, black booties, and of course a killer statement necklace. To create and easy look for when your ready to party! Okay, so by now you noticed a pattern, black is one of my fav colors. I apologize for the absence of color in my style choices, but this blazer can easily be paired with a great red dress or even a soft purple for a more feminine look. Although, nothing beats an LBD and this lace number is one of my favorites and I do actually own the same one in navy (see I wear color!) I thought it paired perfectly with the plaid jacket giving the lace a more menswear laid back vibe perfect for after work drinks or a semi formal event you may be attending! *dress comes in other colors, including Red!! I hope you loved my style options for this perfect plaid jacket. You can easily mix and match many of these stylings with one of your favorite jackets to give that wardrobe of yours a little flair! I always liked the idea of football players more so than the actual sport of football. Inevitably if you date or marry a former (or current) football player watching football and going to games becomes a part of your life. As a fashion blogger I always love to dress the part. 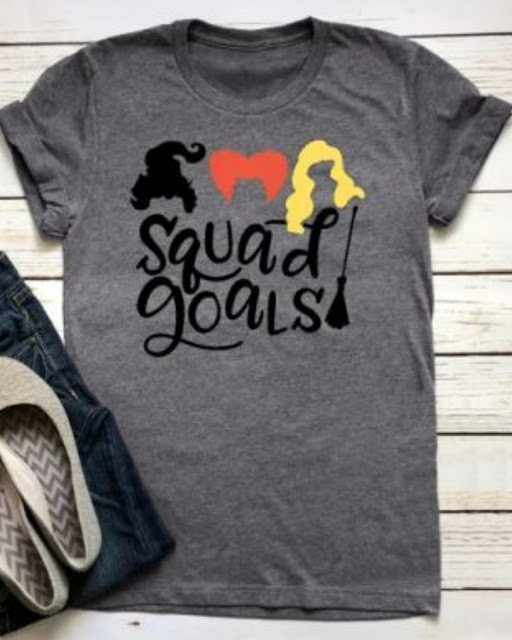 I can’t simply throw on a sports team shirt and call it a day. I have to style and accessorize it, obviously! 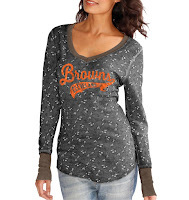 In today’s blog I will be sharing some easy chic looks that you can create with your game day gear. My first look is my Cozy Pastime look. Many have asked where I get my cute game day items and this cozy crew is from Pink NFL line. 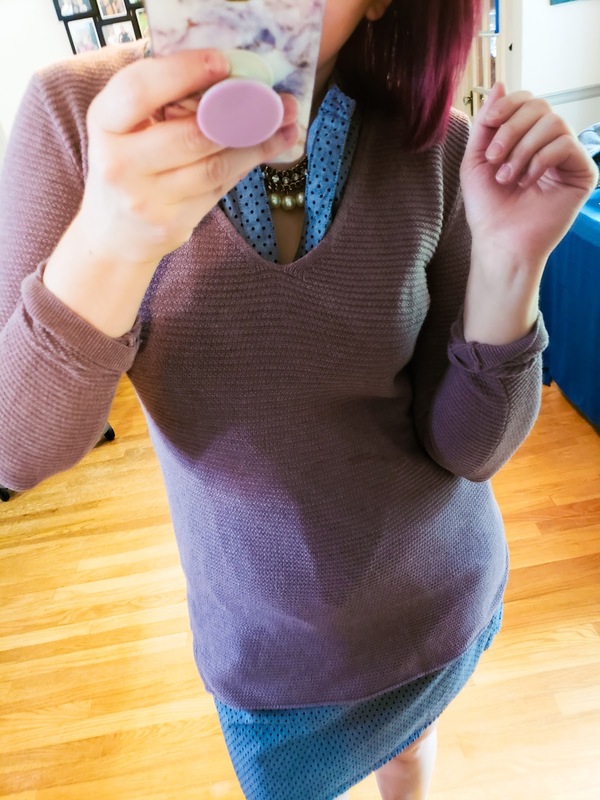 I actually found this sweater during their semi-annual sale for only $10 and could not pass it up. 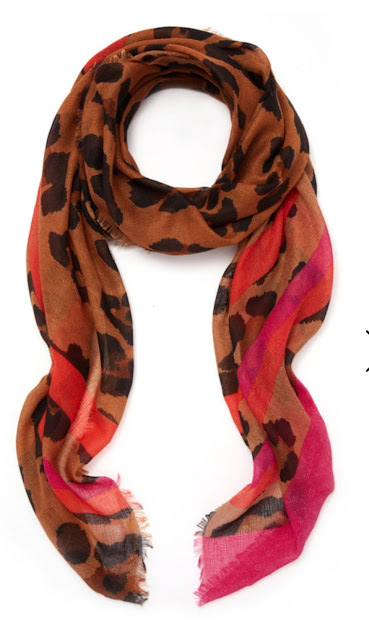 It's perfect for cooler weather and I usually pair it with one of my favorite pashminas and Hunter boots. 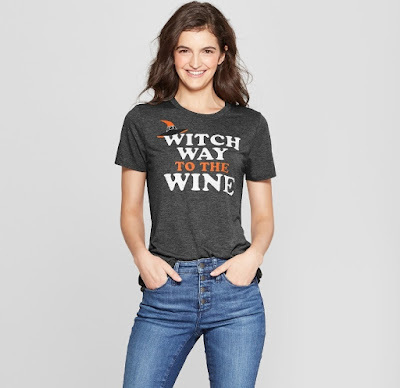 To take this look up a notch I’m thinking of styling it with my favorite Spanx faux leather leggings I got from the Nordstrom sale and maybe some cute booties! My second look is my Suns Out Funs Out look. 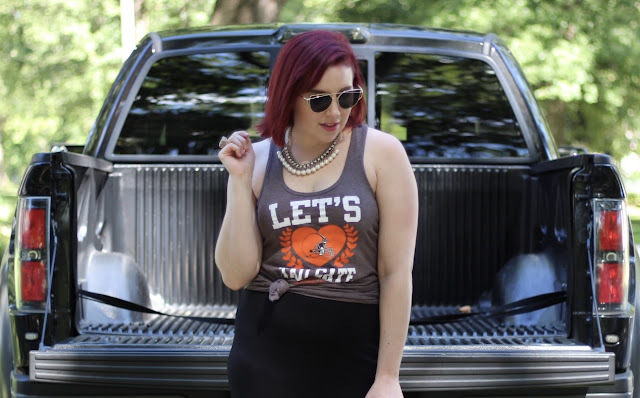 For when it's a beautiful day for a game and it's too hot for boring old jeans I pair my game day tank with a fitted midi. 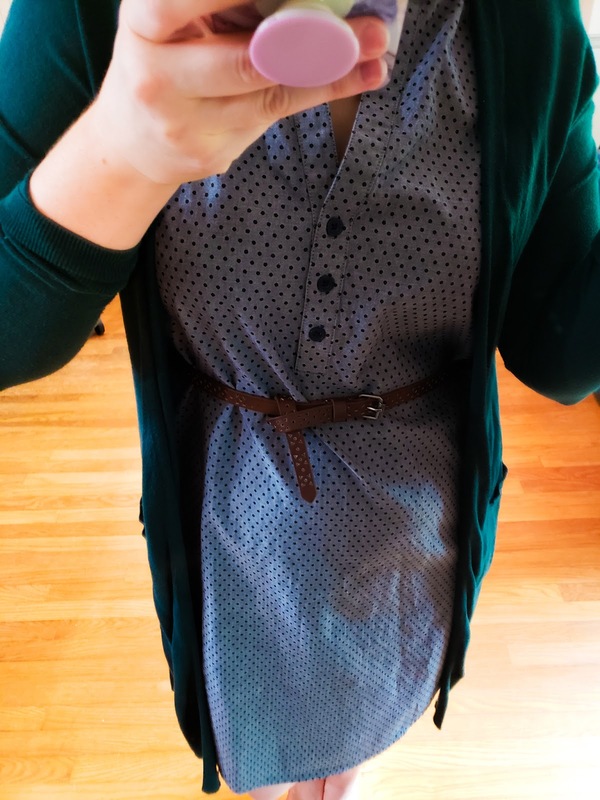 This was my favorite game day look when I was pregnant because skirts and dresses were life. 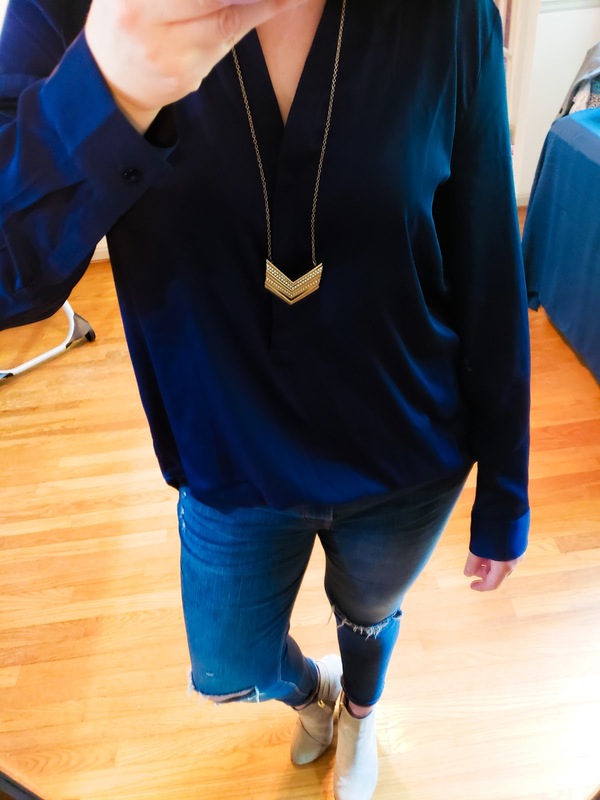 If the weather got a little cold I threw on a long cardi and my favorite tall boots but, for when the sun was shining I paired it with my basic black sandal and as always, a statement necklace! My final look is my Sporty Date Night look. Nothing makes a hot date night look complete except for a cool faux leather jacket and my favorite black skinnies. 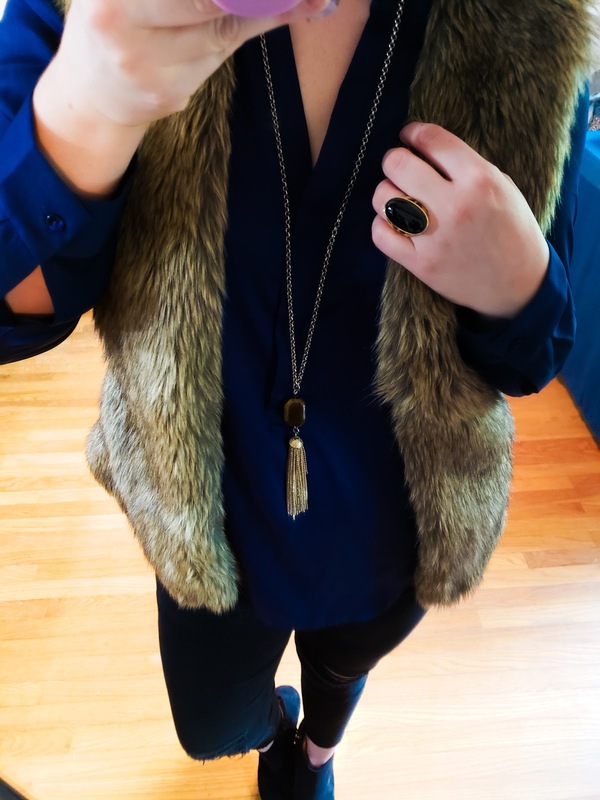 Sometimes I add a little side tie for some extra texture in my look and a cute pair of shoes and your ready to rock the night while you cheer on your favorite team! 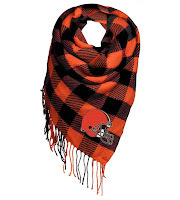 As always, I hope my looks inspire you when dressing for the next big game. Remember you can always be fabulous even when watching the latest sports entertainment! 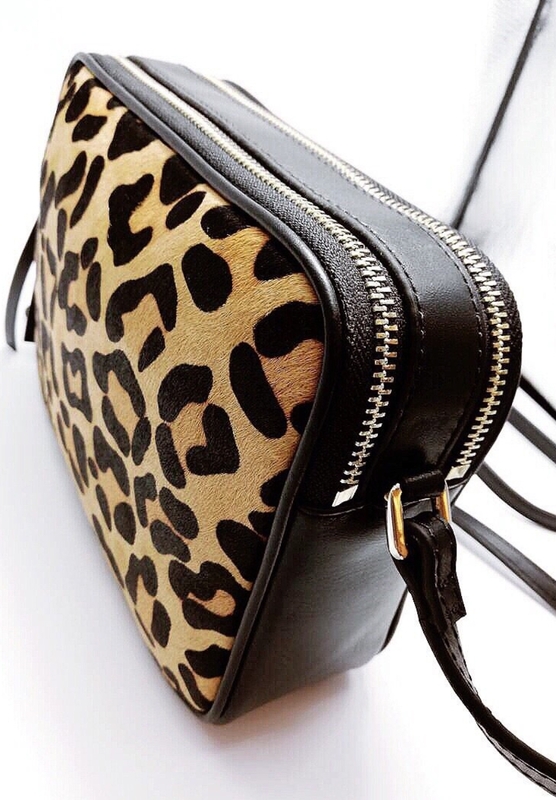 Leopard Print is the New Black! I have the perfect pair of leopard print sneakers from Sam Edleman I love and one of my coworkers recently told me I was the only person who could pull off a shoe like that in my everyday wardrobe. 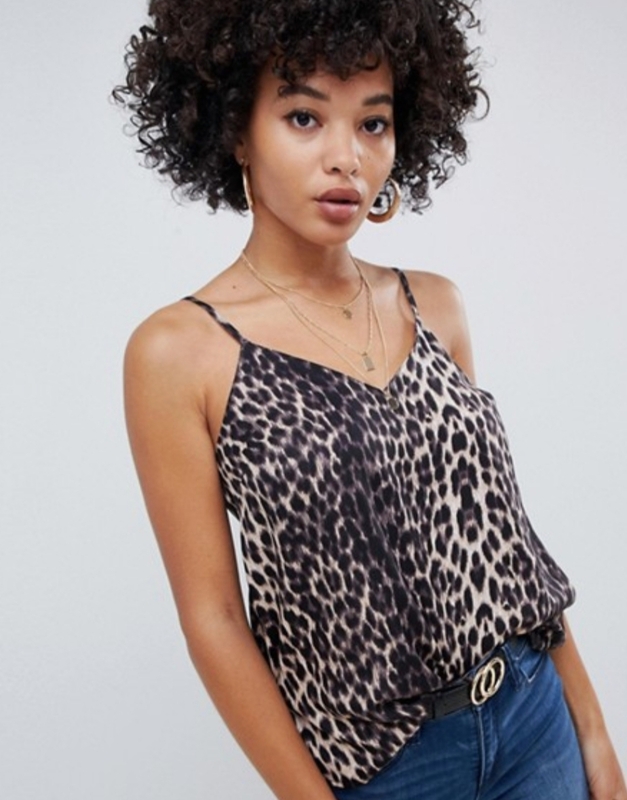 To which I replied, “what do you mean, leopard is like a basic it goes with everything and literally anyone can “pull it off.” I know for some it might seem a little wild or intimidating but the way I utilize leopard in my wardrobe is viewing it as a basic. 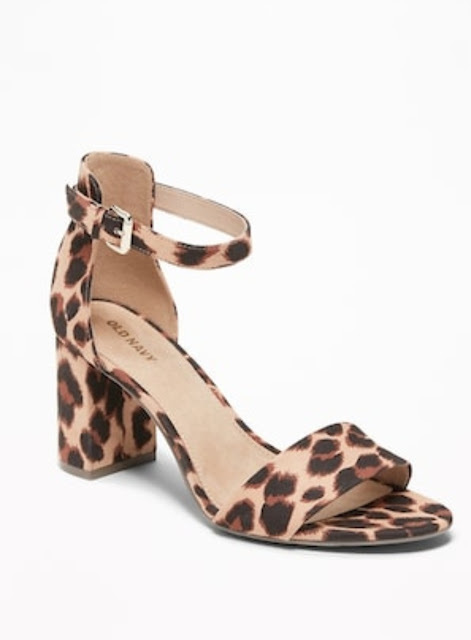 Instead of reaching for a black pump to pair with my favorite skinny jeans I go for a leopard print pump or if I am wearing my LBD I go for a leopard print clutch. 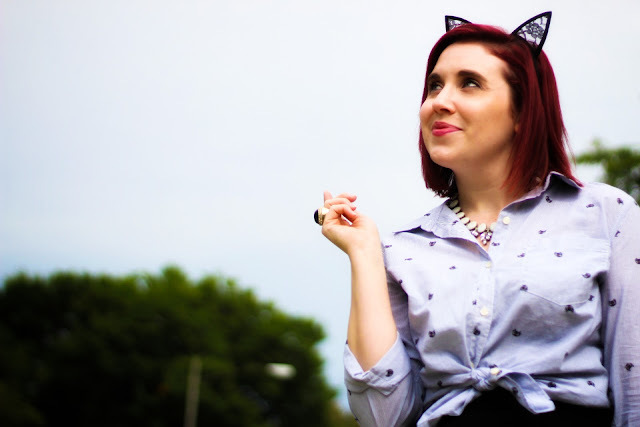 In the blog today I want to show you how easy it is to add leopard to your wardrobe. Whenever I decide to try a new style or trend I like to start small with something easy and inexpensive like a great accessory. So, if you’re unsure about leopard print but you want to start making a statement a stylish clutch or cute shoes are the way to go. Here are some of my favs! 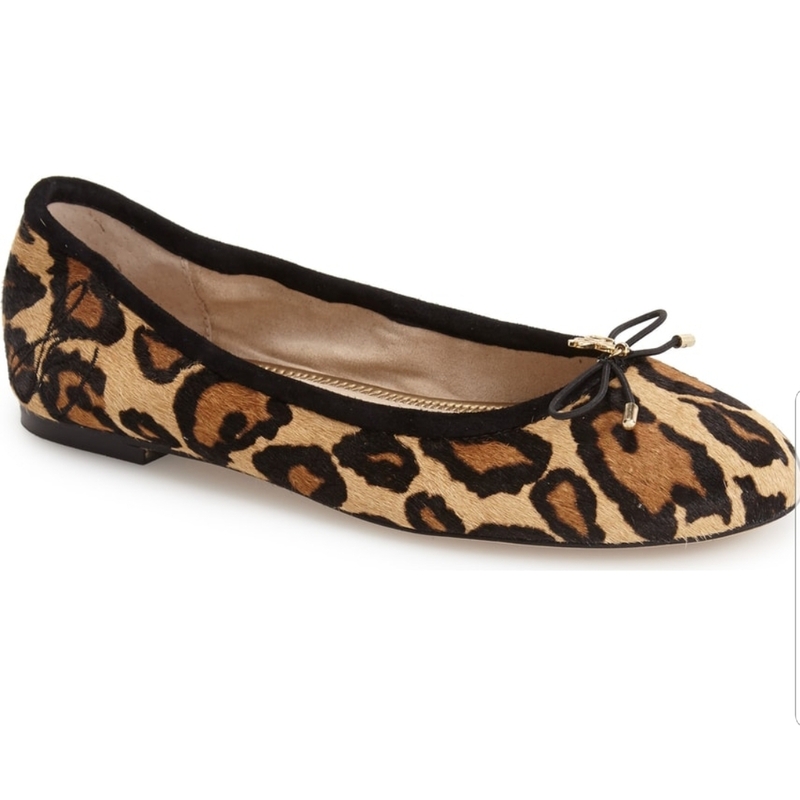 Only $35 and I'm obsessed I cant wait to we get these babies in store! 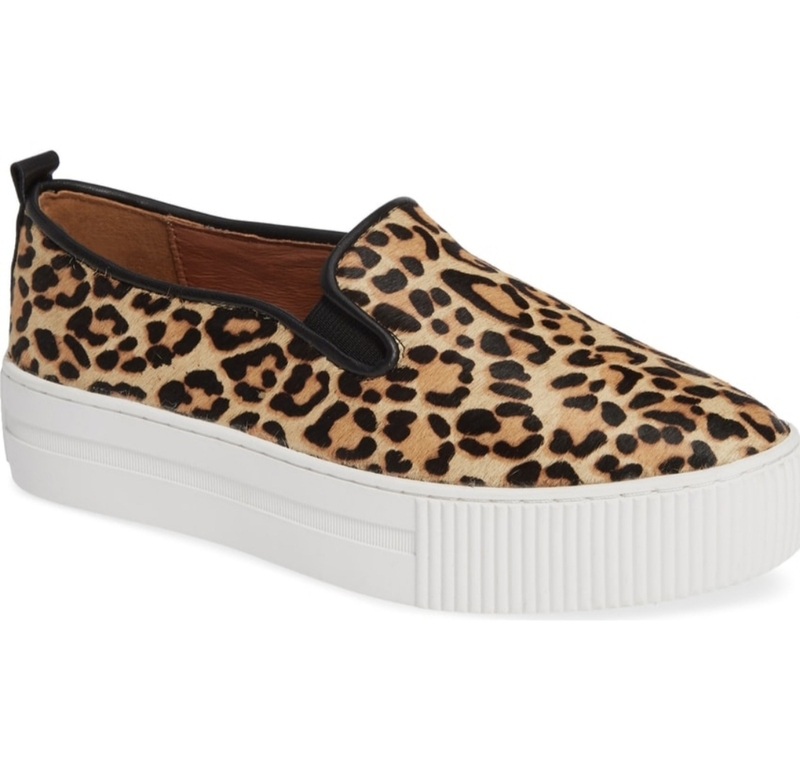 My Sam Edelmen ones look like this but there limited sizes so I found a similar style at Nordy of course! 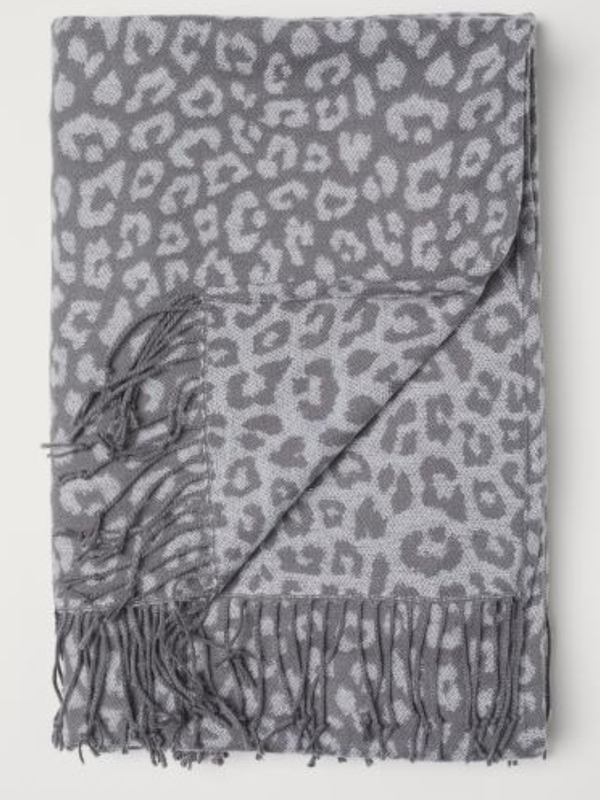 I have a similar one in brown I got last year on clearance but I'm loving this grey one! I have been on a mission for the perfect leopard bootie for Fall and I have finally found it. Just ordered these beauties on line this week! Local Alert!! 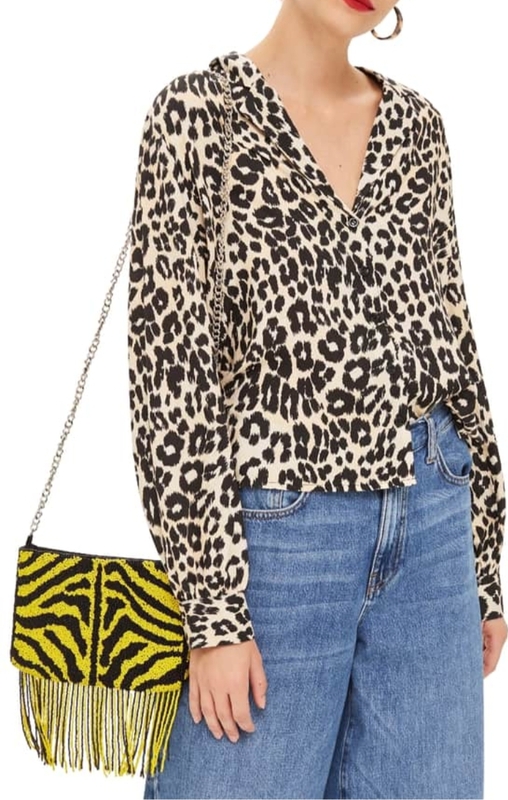 Loving everything about this cross body. I recently purchased a leopard clutch from them but this purse is a must! I love a good patterned scarf to add some POP to an outfit! 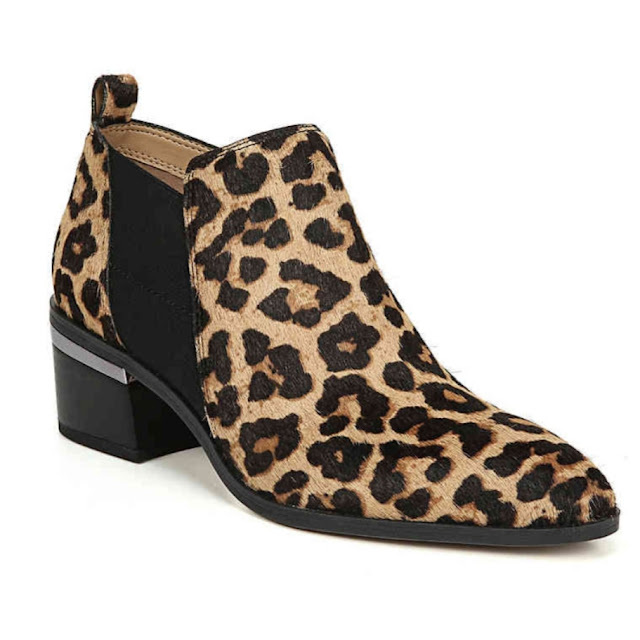 I know I already showed a great bootie but these ones are only $45! The snow leopard print is a little different but this would be perfect paired with an LBD or a shirt dress for Fall! Because every girl needs a good leopard flat in her life! If you love leopard and your ready to make a statement and you just don’t know how, here are some really great leopard print pieces I'm loving right now! 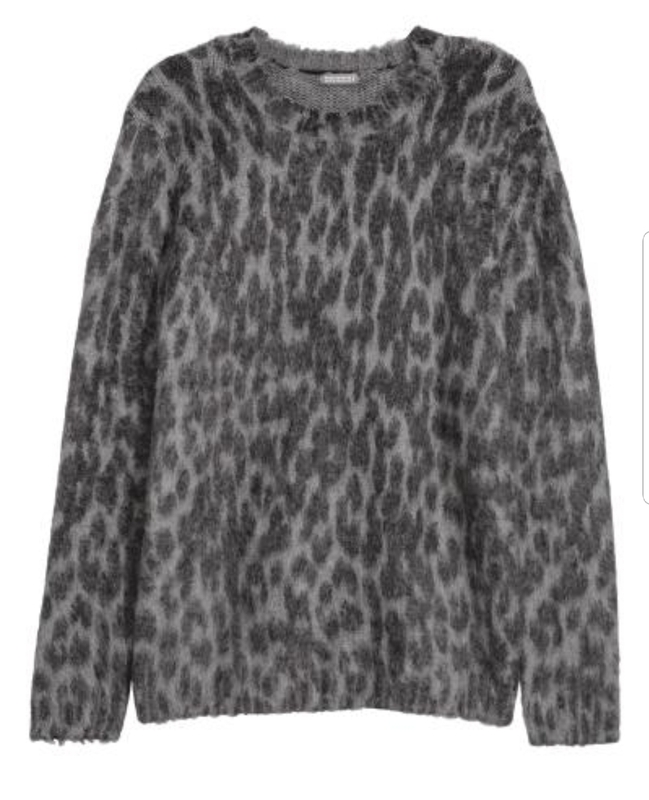 It's a little pricey at $60 but a good leopard print blouse is classic and easy to add to any wardrobe . 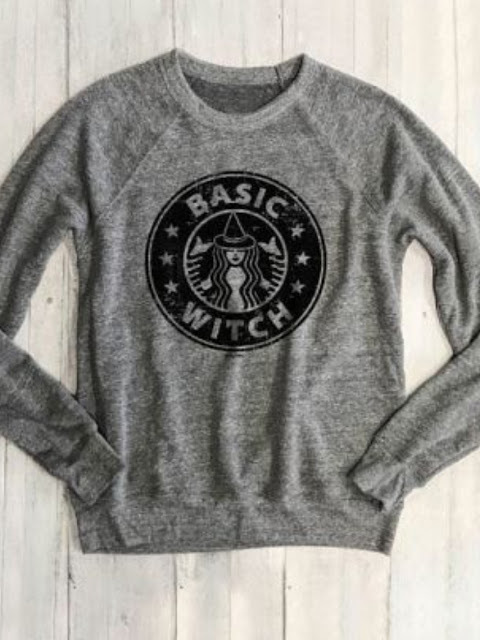 This cozy sweater for winter is on sale for $16.99! 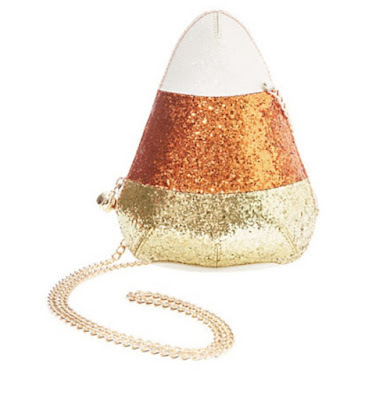 You need to add to bag ASAP! 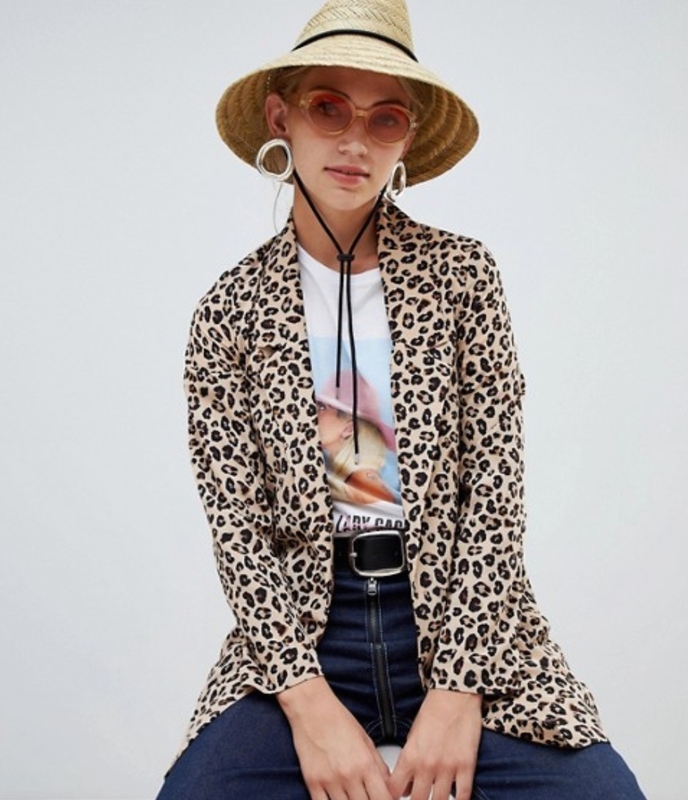 I mean why wouldn't you buy a leopard print blazer. Literally ordered this jacket yesterday. This trench is everything as well. This is quite the statement even for me but if your feeling wild this is a must. 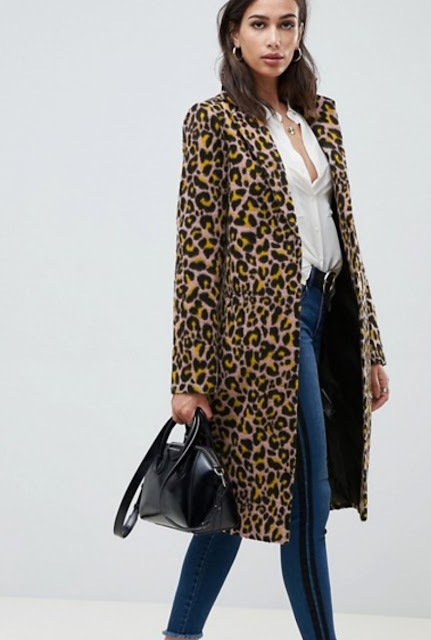 Okay third jacket from Asos but they are literally killin' it in the leopard print game and I'm loving all this outerwear perfect for Fall. A simple cami can be paired with so many things. This is a must if you really want to try this trend and make a statement. I'm all about skirts lately and I love this simple leopard print skirt from H&M it would be perf. paired with black tights, a cute pair of booties, and a simple black sweater. I hope these pieces get you inspired to take a walk on the wild side and try one of my favorite patterns. If you have any questions or need styling advice please feel free to comment below!